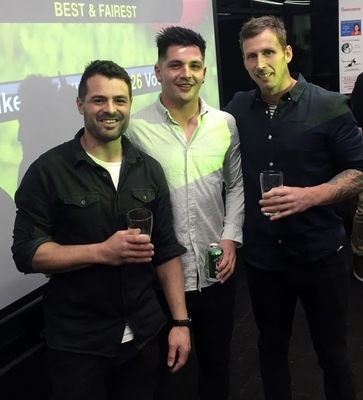 Slick midfielder Luke Cartelli and star netball defender Kelsey Ollis were the leading Grubbers from Ocean Grove Football Netball Club’s vote count on Saturday night 11 August. 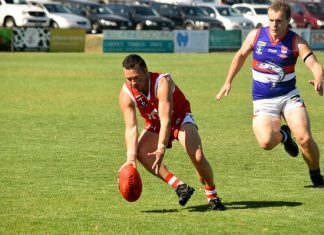 Cartelli, who polled 26 votes and played 16 games and kicked 20 goals this season, was a prized signing for Ocean Grove in 2018 after arriving from Keilor in the Essendon District Football League. Cartelli finished ahead of runner up Jahd Anderson and third placed Justin Carey, a former St Albans GFL player. 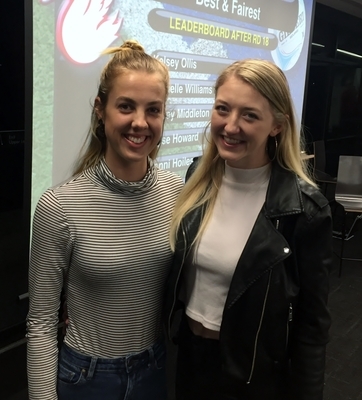 In A Grade netball, Kelsey Ollis won the top honour from second-placed Michelle Williams. Ollis was a mainstay of the Grubber defence in 2018 as Goal Keeper and Goal Defence. Logan Popple was the leading vote getter for the Grubber football reserves grade, while Max Sutton won the Under 19 count. Mia Smith won the C Grade netball award, Amina King took out D Grade, while Alicia Skurrie won E Grade.